Consisting of 120 acres of stunning parkland, Fairlands Valley Park has been voted as one of the UKs top free visitor attractions alongside such prestigious places as the Tate Modern. 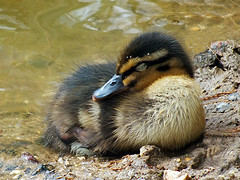 Situated in the heart of Stevenage, the park is home to a huge diversity of wildlife. There are plenty of footpaths in the park so it is easy to wander about and admire the local flora and fauna. If you’re feeling more energetic then head to the sailing lake, all 11 acres of it! You can go on a dinghy course or power through the water in a powerboat. There is also the chance to test your skills in a kayak or, for the brave among you, you can have a go at windsurfing. To continue along the active vein, the Trim Track is ideal for all you joggers out there. What could be better than filling your lungs with fresh country air whilst being witness to some wonderful scenery? Want some tranquillity? Well you can find that at Fairlands too when you indulge in some quality fishing. The angling waters are well stocked with fish so they are perfect for enthusiasts and novices alike. If the kids are full of beans, why not take them to the adventure play area? This is a great place for them to monkey about and the numerous pieces of equipment mean that you’re guaranteed an easy bed time. Open throughout the year, Fairlands has a huge amount to offer and can thus cater for your every need. Opening Times: All year round. Please see website for specific activity details.